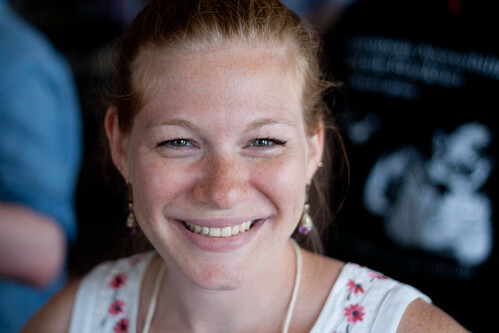 I get my hair cut at Bumble & bumble‘s downtown salon. Not only does Dante always give me a great cut, but Bb creates one of the most exceptional customer experiences of any service in my day-to-day life. 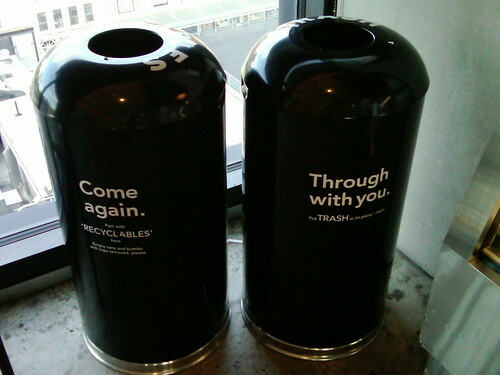 The recycling bin is labeled “Come again” and the trash bin is labeled “Through with you.” It’s simple, and it’s silly, and it made me smile. They could have just labeled them like everyone else does, but someone took the time to write the copy. So if I have to pay a bit extra for my haircut, I’m okay with that. The experience is worth it. It'd be better if one were square, the other round…or one were blue, the other black. The requirement to read and parse the difference interrupts the flow. It might create a different experience, but its poor (maybe too strong a word?) usability could easily cause frustration, shame, embarrassment (after throwing an empty Diet Coke can into the trash bin, then reading the text, one might be embarrassed…especially if a stylist points it out to her).